Dr. Justin Bonaventure, DDS is not currently offering online scheduling. Please call the office at (225) 283-8545 to schedule an appointment. 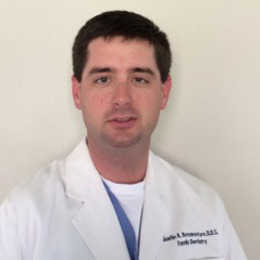 Dr. Justin K. Bonaventure is from Baton Rouge and practices general dentistry, treating both adult and pediatric patients. Dr. Bonaventure strives to treat patients in a relaxing, comfortable, and pain free environment, while using advanced technology. At Bonaventure Dental Care, patients are treated like family and most dental services are completed in house.